We kindly invite you to attend the ARIEL (Atmospheric Remote-Sensing Infrared Exoplanet Large-survey) science conference to be held at the University Foundation, Egmontstraat 11 rue d’Egmont, in Brussels (Belgium) on November 21-23, 2016. ARIEL is one of the 3 European Space Agency medium class candidate missions competing for selection in 2017 as M4 for a launch in 2025/6. ARIEL will investigate the atmospheres of several hundreds of planets orbiting distant stars. During its 3.5-year mission, ARIEL will observe approximately 500 exoplanets ranging from Jupiter- and Neptune-size down to super-Earth and Earth-size in a wide variety of environments. The main focus of the mission will be on exotic, hot planets in orbits very close to their star. Hot exoplanets represent a natural laboratory in which to study the chemistry and formation of exoplanets, and hence the evolution of planetary systems. ARIEL will investigate their composition and chemical/physical properties through repeated, simultaneous, multi-wavelength, high photometric stability spectroscopic observations. This international conference will provide an overview of the ARIEL mission and an opportunity for discussion and feedback from the general community in advance of the ESA Cosmic Vision review process. The ESA study and science teams will present the current ARIEL science case, mission objectives and technical concept. 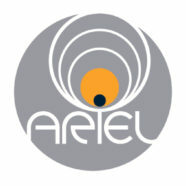 The main goal of this open conference is to receive critical feedback and contributions from the community covering all aspects of ARIEL; including, but not limited to, exoplanetary modelling, target selection, atmospheric retrieval and data processing, mission and instrument design and critical technologies. Time will be set aside for dedicated poster sessions and open discussions. Registration and abstract submission will open soon, this will be advised in a further announcement. We look forward to seeing you at the ARIEL conference in November!